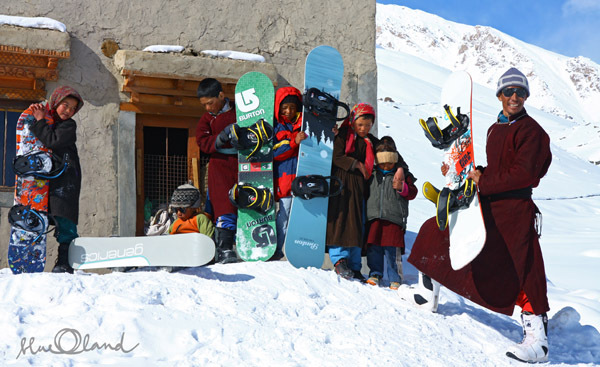 In Zanskar, locals can ride snowboards too. 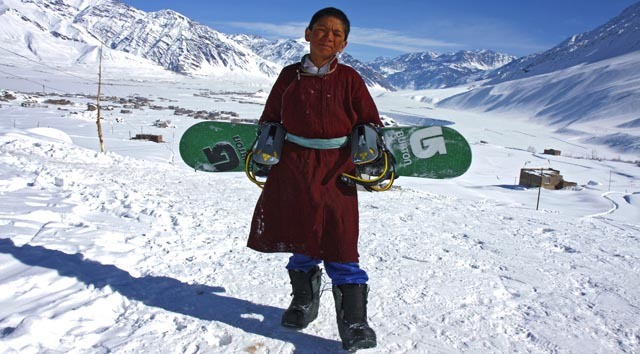 In February of 2009, after a 5-day-itineracy on the frozen river we brought the first 6 snowboard sets to the village of Padum. The so called Chadar trek took us from Leh to Padum. We were sleeping in caves, cooking at 20 °C below zero, transporting all the gear along the frozen river on bob sleighs. 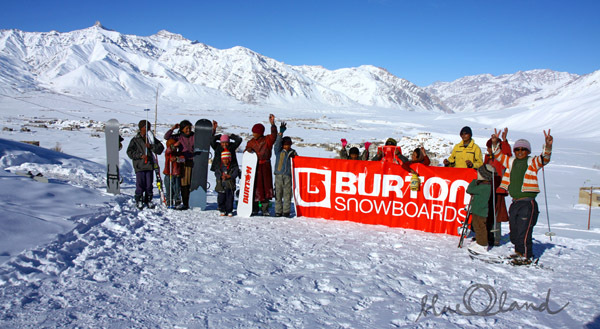 Then, in Padum, we organized the first Burton Snow Camp for the local children. 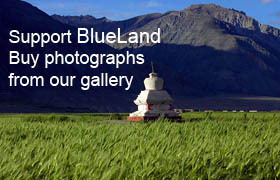 Zanskar is a snow covered land, so it’s no wonder that the skis are prevalent. The most common type of skis is one of two bent rubber hoses, about a meter long, attached to the shoe with wire. 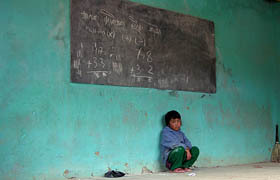 The Padum School differs greatly. It is a place where a wide variety of ski (everything from down hill to skialp to cross country) can be found. In the summer of 2005, we met the charismatic Mr.Urgain, already a coach and the manager of the local Zankar Ski School. (www.zanskarskischool.com) He doesn’t only ski for fun. He also trains local doctors to master cross country skis and skialps to be capable of reaching distant villages to get to patients faster in winter. His team won the golden medal in the country competition last year. Beneath the slogan claiming „idleness to be the biggest sin“, we initiated a seemingly paradox project. We taught children and parents to ride snowboards. Snowboard fans might not be surprised by something that might strike others in wonder. The project was a great success with all generations throughout the valley. 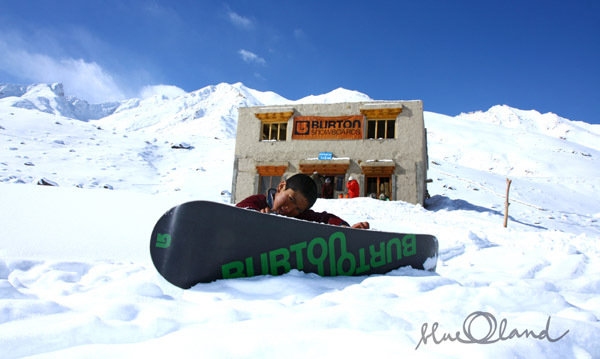 Near the village of Padum are few glaciers ideal for snowboarders and people can ride until the end of August. In the summer you only need to bind the gear on horseback, pack a few barley cakes and one can head for the hills. The only thing you are missing here is a lift, so we walk. 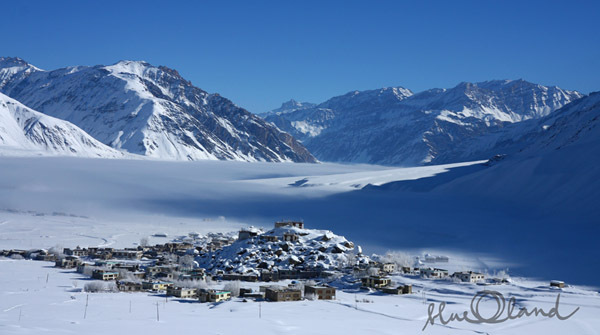 Winters are long in Zanskar, with generous bouts of snow. This and the many glaciers close to the village of Padum allow boarding 9 months in a year. 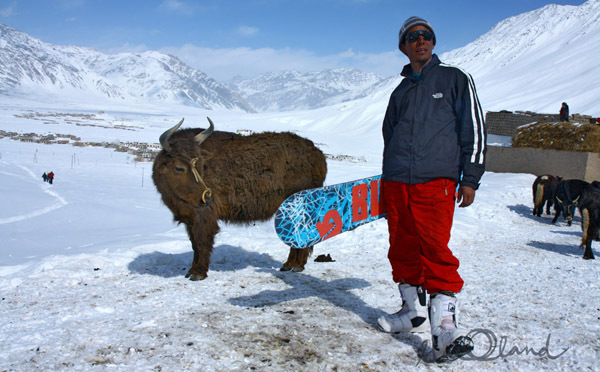 Would you like to go boarding in the Himalayas? Do you have a snowboard at home gathering dust?